Sons of Anarchy Reaper transition? TOPIC: Sons of Anarchy Reaper transition? 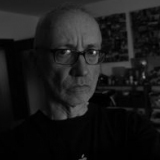 Fairly new to FCPX and new to this forum so I hope I am asking this in the right place. 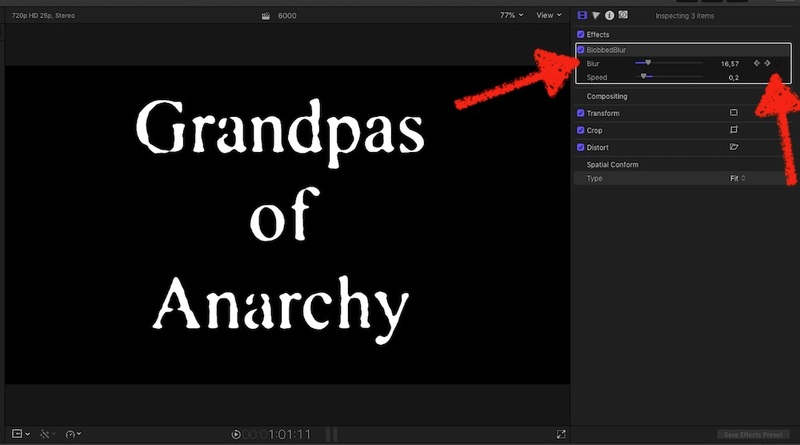 Does anyone know of a FCPX transition that looks like the one at the end of each Sons of Anarchy episode to "fade in" the SOA Reaper logo? I've tried to attach a video clip of what I am talking about. I tinkered an EFFECT in Motion, which maybe comes close to what you're looking for? b) it is NO transition but an EFFECT … me thinks, a keyframe-able effect is more… controllable? Thanks for all the work. Yes an EFFECT is better for what this is. I played around with your effect but it doesn't really work. One thing is that it removes all color. Also your effect is very different. The SOA effect doesn't have the blurriness. It more of just the black fading off the logo, starting at the center and blotchy around from there. I was hoping there was already something like this out there since Sons of Anarchy is pretty old. LOL indeed it is, sorry, couldn't find a fullscreen version online. Thank you so much for doing this. I don't have Motion or I might give it a try, but I wouldn't know what I was doing. So, I watched some ink transitions and thought they were similar to what I wanted. I watched videos on how to do Ink transitions and was able to make a custom ink splatter to come somewhat close to how the Sons of Anarchy Reaper reveal looks. Then I applied a gaussian blur to the image that starts heavy then reduces to no blur. Started the image at 97% size and keyframed it to 100% at the end to get the slight Ken Burns kinda moving at you effect. It's not totally like the original, but it works for the parody I am making. If I took more time to customize the ink splatter more, I might be able to get it closer but this will work. I don't have Motion, so I just worked with FCP and some compound clips. Thank you Karsten Schlüter for trying to help me with this. If you make an effect for this I would love to see it, but, for now, what I did will work for my little personal video.